Louis Vuitton handbags online at great prices. Learn more about the versatileFrench chic handbag collections and get the bag you desire today! 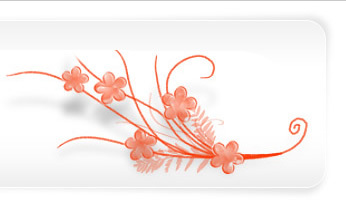 Luxury handbags and celebrity lifestyle that they represent are a constant allure to us. What it is in the perceived exclusivity and glamor that attracts us so much and makes us pay way more than we would pay for the same products without the luxury brand name but with the same quality's. We explore the world of luxury and how to safely navigate your way shopping online and looking for the best deals and sales. LV brand in full name known as Louis Vuitton Malletier is one of the oldest leather fashion houses from France (it is more than 150 years old and still one of the major fashion market players). Very often it is referred to as simply LV - the two letters are also the company's trademark. This leather fashion business was started in the 1854, when LV started making canvas trunks. The company became very successful and even then many of the trunks craftsmen of that time started to make products similar to the brand's trunks. Therefore the company needed a trademark to protect its business against counterfeiting and invented their Monogram Canvas pattern as a protective measure. Sadly enough the patter and LV handbags in general are one of the most counterfeited bags in the world. Replica LV bags are simply flooding the market as the demand for this particular handbag label is really big. .
As regards the current company, LV brand since 1945 used more and more leather for the handbags, and luggage items and wallets and the leather article business for them was booming. In 1987 LV was merged with Moët et Chandon and Henessy thus creating one of the biggest luxury goods companies. The shortened title of this French conglomerate is LVMH. The brand had attracted many talented designers, for example Marc Jacobs was working for the brand and his collaboration with Stephen Sprouse and Takeshi Murakami (LV Monogram Multicolore and LV Cherry Blossom handbag bag creator) created many iconic design handbags. Also Sofia Coppola had her line of purses for women that loved vintage inspired shapes and functional designs. Many of the above mentioned lines and products are available through their web e-store, which is very convenient for shopping, and also they offer global shipping options for their products. In case you are in need of some rare model, then you have to look for auctions and collectors that might have them. 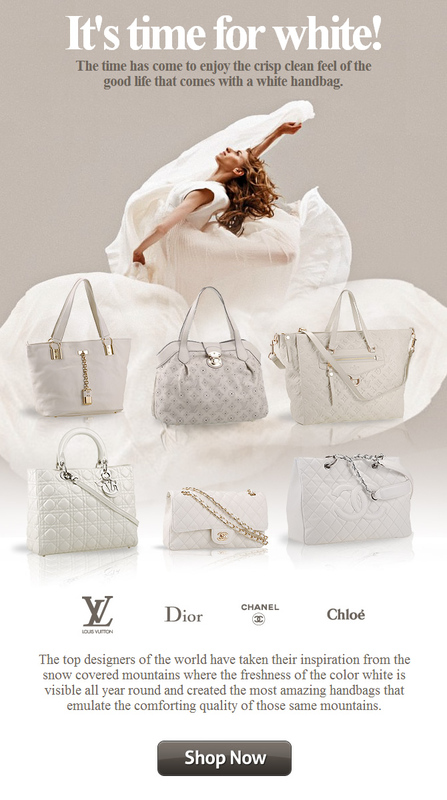 LV bag advertising has been featuring such stars as Madonna, Gisele Bundchen, Jennifer Lopez and even Michael Gorbachev. 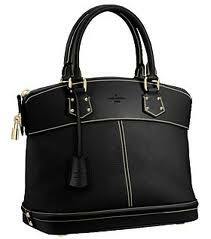 But even without the lavish advertising campaigns these handbags are among the bestsellers in handbag fashion world. The wide range of various designs and price ranges as well has made these bags one of the most popular choices for quality accessories. LV bags are quite expensive so many people wait for LV bags sales to buy brand bags on sale or sometimes an option is to purchase secondhand designer purses. Louis Vuitton replica handbags also has an extensive men's handbag collection in our online outlest store. Right now the brand sells luxury leather luggage, shoes, jewelry, eyewear, watches and other leather items, such as small purses, wallets and more. This is one of the major mainstream brands right now and although fashion critics say they have lost their original appeal the brand is doing better than ever simply because people love their design, variety of materials and colors, as well as the spacious handbags that they create. If you are lucky you might get on of their Bags on sale. LV replica bag On a different aspect, the Gabrielcorto Moltedo was thought of have used his parents’ fame in the handbag business. His parents were the ones responsible for the Bottega Veneta brand before it was sold to Gucci. Nonetheless, the designer proved to be another icon by providing the fashionable classes with different kinds and styles of handbags. And best of all the replica Louis Vuitton bags are made out of genuine leather so they not only look alike, but also feel the same as the originals.